Providing you the best range of rotated hydraulic floor crane, rotatory hydraulic floor crane, battery operate floor crane and manual mobile floor crane with effective & timely delivery. 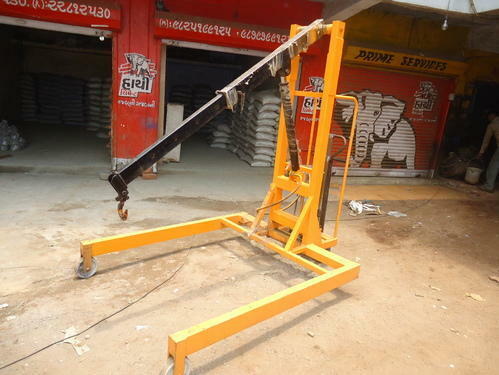 Owing to the sprawling infrastructure, we have been successful in catering to the variegated requirements of the customers by providing them with Rotated Hydraulic Floor Crane. These are precision engineered floor cranes, used for loading or unloading of material from trucks, maintenance work, dies loading on presses and various other applications. Further, we manufacture these products in the guidance of our professionals using quality raw material and other components. Designed for heavy-duty lifting, loading and positioning. Ruggedly-constructed; will give dependable, long-lasting use Standard handpump hydraulic lift cylinder. Lifts load from 2000 mm to 4500 mm. Available Options: Electric operated & Battery operated. 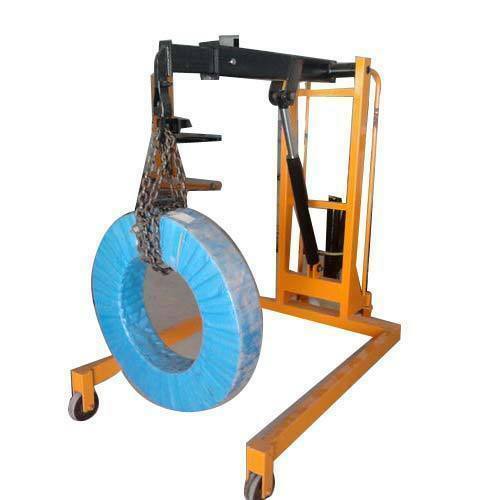 Capacity : 500 Kgs to 5000 Kgs. 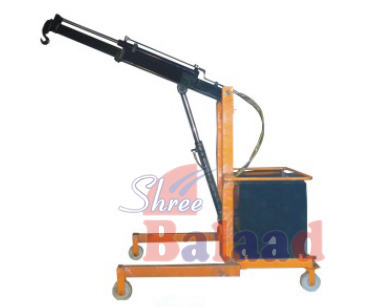 Overall length : 1450 to 2100 mm. Over all width : 1000 to 1500 mm. Over all Ht : 1550 to 2100 mm. Lowest Hook ht : 300 to 500 mm. Highest Hook ht : 2000 to 4500 mm. Min Boom length : 1000 to 1200 mm. Max Boom Length : 1550 to 1900 mm. Wheel Dia : 200 mm. 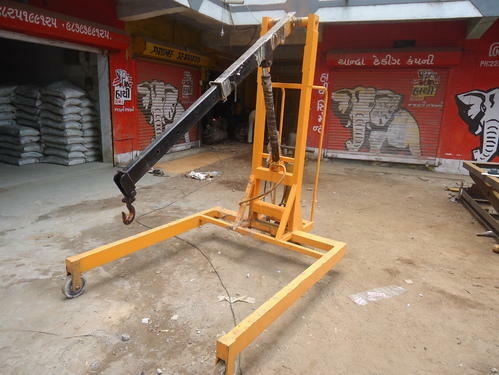 According to the needs and demands of our customers, we are engaged in offering an exquisite range of Manual Mobile Floor Crane.Moreover, this Manual Mobile Floor Crane is offered at reasonable rates. Looking for “Hydraulic Floor Crane”?